888poker’s online series XL Eclipse brought out the bounty hunters on Friday as a trio of Knockout tournaments were played out. A total of $55,000 in guarantees was on the schedule and players logged on in force to take their shot at earning extra money for every player they eliminated. Knockouts being a popular format, every tournament crushed its guarantee as players called off light in hopes to score that extra cash. So, here’s all the action take took place on 888poker on Friday. In the day’s headline tournament, Event #25: $25,000 Knockout, the top three players ended up making a deal. Romania’s ‘MrDrogo’ walked away with the title of XL Champion, earning $4,127.37 (+$307.50 in bounties) edging out ‘vezun_4ik’ from the Ukraine who took home $3,954.18 (+ $451 in bounties). For the Ukrainian, it serves as a new career-best score. Denmark’s #18-ranked player ‘ojfever’ was also part of the deal, winning $4,105.95 (+$328 in bounties). While those three were able to chop up the biggest part of the $33,323 prize pool in Event #25, none of them took home the most bounties. That badge of honor was earned by Russia’s ‘sslazio16’ who racked up $533 in bounties on his way to a fourth-place finish where he scored $2,187.50. There were plenty of top online players who got involved in Friday’s 888line up and perhaps none more feared than the current #1-ranked ‘lena900’ (aka ‘tutten7’). While he wasn’t able to significantly add to his over $12 million in lifetime earning in Event #25, the current king of online poker did bank $82 in bounties. It was another cash for James ‘BL1NDRAZOR’ Walsh, marking his fifth of the series. He’s tracking down another bonus if he can make the money in three more tournaments between the events on Saturday and Sunday. ‘summuNNN’ from the UK managed to make the final table in two of the three events. They scored an eighth-place finish in Event #25 for $750 (+ $41 in bounties) and then finished two spots higher in the late tournament, Event #27 for another $675 (+ $100 in bounties). Not a bad days work. Other notable names spotted in the field include XL title holder ‘Kaktus26rus’, Sweden’s Andreas ‘r4ndomr4gs’ Berggren, XL Blizzard High Roller champion ‘OINKoinkoink’ and Kenny ’SpaceyFCB’ Hallaert. In addition to ‘vezun_4ik’ and ‘ojfever’, PocketFiver Kurt ’GiNgErSpEw’ Fitzgerald managed to make the final table, finishing in ninth place in Event #25 for an even $500 (+ $41 in bounties). Fitzgerald, a former top-20 ranked grinder, adds that to his over $5 million in career online earnings. In Event #26, Denmark’s Tonny ‘benzzzen’ Jensen finished captured the bronze, finishing in third place for $1,530 (+ $30 in bounties). Jensen is marching to the $1 million lifetime mark, currently sitting at just over $850,000 in lifetime earnings. The penultimate day of tournaments arrives on Saturday with three shorthanded tournaments on the schedule. 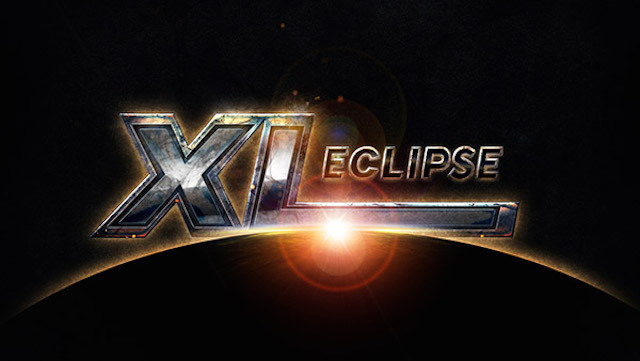 It’s Six Max day for XL Eclipse and one of the final days to earn cash and titles before the $1,000,000 Main Event arrives on Sunday.